Mahindra Scorpio Getaway is the pickup truck version of the popular Scorpio SUV. 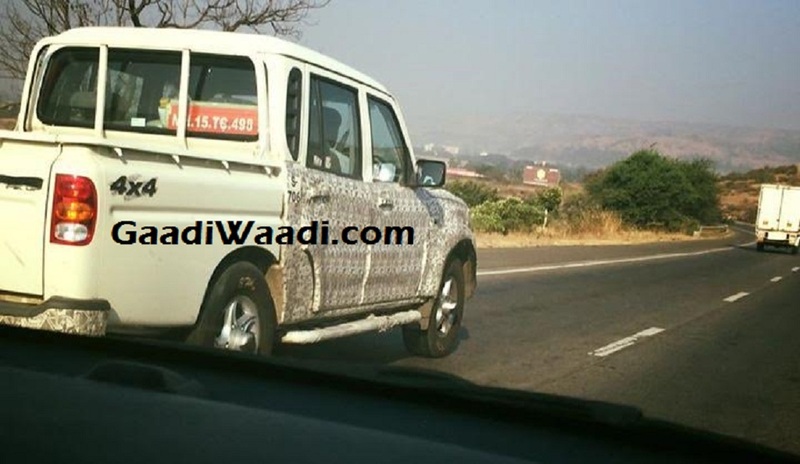 Last year, the new generation Getaway was spotted testing on Indian roads several times which indicated that the Mumbai-based automaker is launching it soon. 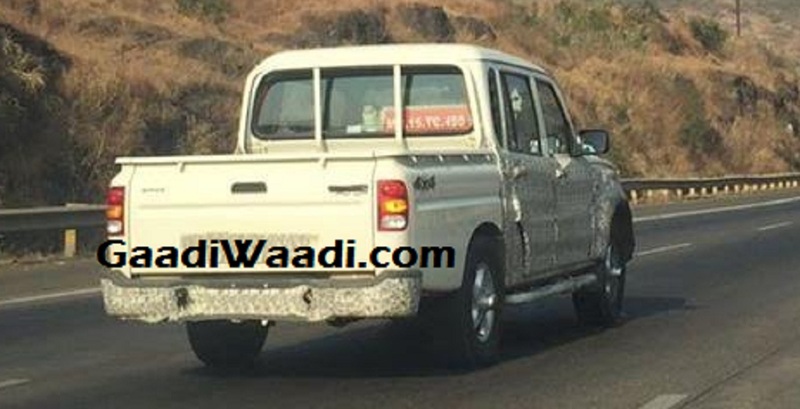 Here are a couple of images from Facebook that ensure that the pickup’s road testing is on full-swing ahead of market unveil likely in 2017. The new Mahindra Scorpio Gateway would get projector headlamps with LED pilot lamps, aggressive teeth like grille with chrome embellishment, fog lamps, and hood scoop as seen on the current Scorpio. The C pillar looks different compared to the outgoing Gateway while it gets the same vertical tail lamps of the older model and not the clear lens units found on the regular Scorpio SUV. The updates are incorporated inside the cabin as well. The interior should get an all-new fresh four-spoke steering wheel and new dashboard. The switchgear comes new and the instrument cluster could don a MID screen. The plastic and fabric materials used inside the cabin also come in improved quality. Expect the car to get a 2.22-litre or 1.99-litre Mahindra mHawk diesel engine, which would be tuned to churn out 120 PS of peak power and 280 Nm of peak torque. The transmission duty will be done by a new generation ‘320’ five speed manual gearbox which will come equipped with smoother shifting capabilities. Power is expected to be sent to all the four wheels through a Shift-on-the-fly 4WD system as seen on the international markets. The pickup truck version and regular Scorpio should share same underpinnings. The Gateway is available in two different body styles, which are five-seater four door double cab and two-seater two door single cab.